The Lvcea watch family, Lvcea name deriving from light in latin, shines brighter than ever with the arrival of two totally new women’s watches collections. Seamlessly fusing its jewellery-making heritage and watchmaking skills, Bvlgari introduces the brand-new Lvcea Tubogas and the dazzling Lvcea Skeleton. These new models are the first major design evolutions of the Lvcea collection since it was launched in 2014. 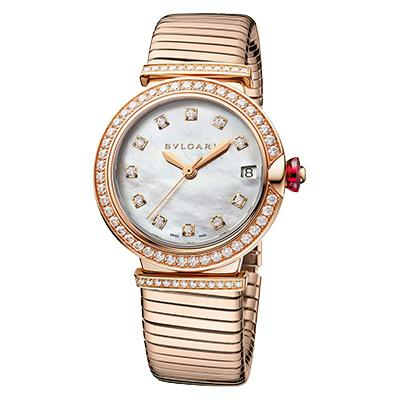 The ultimate evolution of the Bvlgari saga in feminine watches, started one hundred years ago with the very first jewelry watches. Now with the world famous and contemporary design-acclaimed Tubas bracelet. For the first time, Lvcea is presented with the iconic Tubogas bracelet, reminding us of Bvlgari’s heritage as a jeweller. Caressing the wrist with exquisite comfort, five new Lvcea Tubogas models bring an everyday modernity to the Lvcea universe. The slinky links of the Tubogas bracelet add a pleasing symmetry when contrasted with the perfectly round face of the Lvcea. Available in 28 or 33mm models, the stylish stainless steel version has a dramatic black lacquer dial. 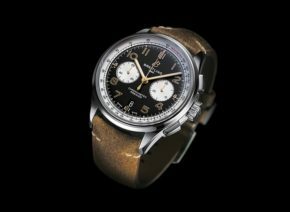 A shimmering white mother-of-pearl dial complements the model with an alternating steel and rose gold Tubogas bracelet, also presented in 28 and 33mm sizes. 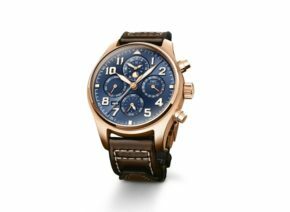 Finally, a precious 33mm rose gold interpretation, resplendent with diamonds around the bezel and decorating the bracelet, completes the family. With a date window at 3 o’clock, a practical quartz movement powers the 28mm models while the 33mm versions boast a mechanical automatic-winding caliber. All five new Lvcea Tubogas watches have diamond hour markers and a pink cabochon-cut gemstone set into the crown. Christened Tubogas because of its similarity to a lowly woven-metal gas pipe, the technique has been used in jewellery making since the late 40’s. An eloquent example of industrial-inspired design, it was popularized in the Art Deco period when the challenge of miniaturizing large engineered objects, and using them for novel purposes, took off. In the 1940s, Bvlgari inserted a watch dial into a Tubogas bracelet to create a highly stylized serpent watch. 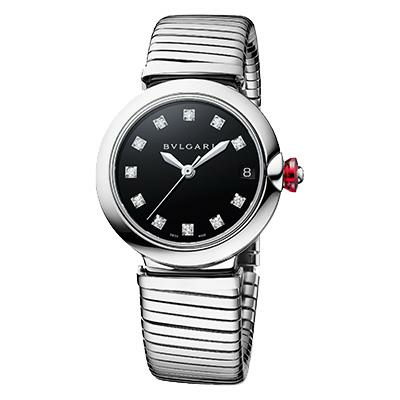 The design was revived in the 1970s when Bvlgari introduced it into watches, bracelets, necklaces and rings. The effect of a stark, engineered coil combined with coins and richly colored precious gems created a fascinating contrast that marked Bvlgari’s style of jewels, intended to be worn and enjoyed every day. Complicated to produce, the Tubogas is formed by long bands of gold or steel that are wrapped around a steel core. 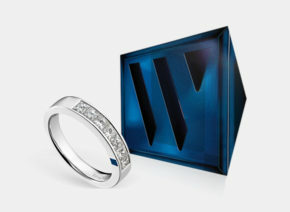 As they are coiled, the rounded contours of the bands interlock to conceal completely the inner structure. The specialist goldsmiths use no soldering. The flexibility of the coiled bands alone is what gives the Tubogas its characteristic bounce. Bvlgari has extended the range to include three colors of gold fused into one single bracelet within the new Serpenti collection. Crafted with a jeweller’s sensibility, the result is a watch that is proudly Italian, unapologetically glamorous and forever stylish. Quartz movement, Calibre B046 customised by Bvlgari for the 28mm versions with indications of the hours and minutes; mechanical automatic movement, Calibre B77 for the 33mm versions, with indications of the hours, minutes, seconds and date; 28,800 vph, 42-hour power reserve. 28 or 33mm steel case, steel crown set with a pink cabochon-cut stone and a brilliant-cut diamond. Black lacquered dial respectively set with 12 and 11 brilliant-cut diamond hour-markers. Water-resistant to 50m. Steel Tubogas bracelet. 28 or 33mm steel case, 18kt gold rose crown set with a pink cabochon-cut stone and a brilliant-cut diamond. White mother-of-pearl dial respectively set with 12 and 11 brilliant-cut diamond hour-markers. 18kt rose gold bezel. Water-resistant to 50m. Steel and 18kt rose gold Tubogas bracelet. 33mm 18kt rose gold case. 18kt rose gold crown set with a pink cabochon-cut stone and a brilliant-cut diamond. 18kt rose gold bezel set with diamonds (~1.2ct). White mother-of-pearl dial set with 11 brilliant-cut diamond hour-markers. 18kt rose gold Tubogas bracelet with 18kt rose gold lugs set with 22 brilliant-cut diamonds (~0.4ct).